Valve has announced plans to release a long-awaited introduction video for the Team Fortress 2 Pyro coinciding with a large update. The company has only detailed part of its three-day "Pyromania" event, with the first day bringing a new map as well as a game mode called Doomsday, in which two teams compete for "the honor of transporting a suitcase nuke full of recalled Mann Co. Australium to American monkeynaut Poopy Joe's rocket, so he can blast off and hunt down Soviet space chimp Vladimir Bananas." Both teams will attempt to haul fuel up a slow-moving elevator and dump it into a rocket, which blasts off upon succeeding. Players can also earn 11 new "Astro-chievements," the names of which can be viewed on the day one event page. We haven't found descriptions for them yet, but TF2's Wiki will likely be updated with information about how to earn the achievements soon enough. Valve has only said it will announce a "bunch of new stuff this week," so it remains to be seen what the second and third days will bring. New weapons and vanity items including hats are a safe bet. 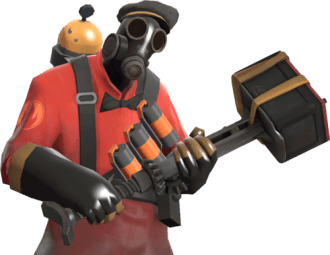 The developer plans to premier its Pyro video on Wednesday, concluding its "Meet the Team" series. The Pyro's animated short has been expected for some time, with hints of a release in a recent Portal 2 video (1:12) and a Pyro-themed alternate reality game (ARG) launched last Tuesday. News surfaced this weekend that Valve has partnered with Adult Swim, but it's unclear if that's related to this week's event.